When the courier no longer needs to ring the bell: start of the beta test in Stuttgart, to be followed by other large cities – smart is ready for car boot deliveries. A click suffices, and the object of our desire lands in the virtual shopping basket: a pair of new shoes, the new printer, the new wide-angle lens for the camera. Online shopping is very fast nowadays, and in many cases the entire ordering and payment process is completed in a few seconds. But directly after the immediately appearing, onscreen order confirmation, the waiting starts for the customer – waiting for the parcel delivery. Depending on the distance and budget, hours, days or even weeks can pass before the ordered goods are delivered. Thanks to package numbers and online tracking, it is at least possible to ascertain at any time which logistical centre is currently processing the hotly awaited package. Yet merely transporting the goods from A to B, from the sender to the recipient, is not the only organisational challenge that must be overcome. Particularly when delivering to private households, the right point in time is decisive for a positive shopping experience: in the ideal case the customer receives his package at his own front door at precisely the right moment. Delivery to a nearby package station or branch office in the area has become a popular alternative for working city-dwellers. Why? Quite simple: because it seems that we are always not at home when the van with the packages stops outside the house and the courier rings the bell. The hand-scrawled cards usually telling us that we were not at home, and must now collect the package from somewhere, are rarely a welcome sight. Moreover, they also seem to be rather offline. The solution by smart is called “smart ready to drop”. Thanks to intelligent technology, the new service transforms the boot of the micro-compact into a package compartment. The smart becomes a personal package station on four wheels. Because rather than handing over the package at the door during the daytime, the package service courier places it in the recipient’s car boot overnight. 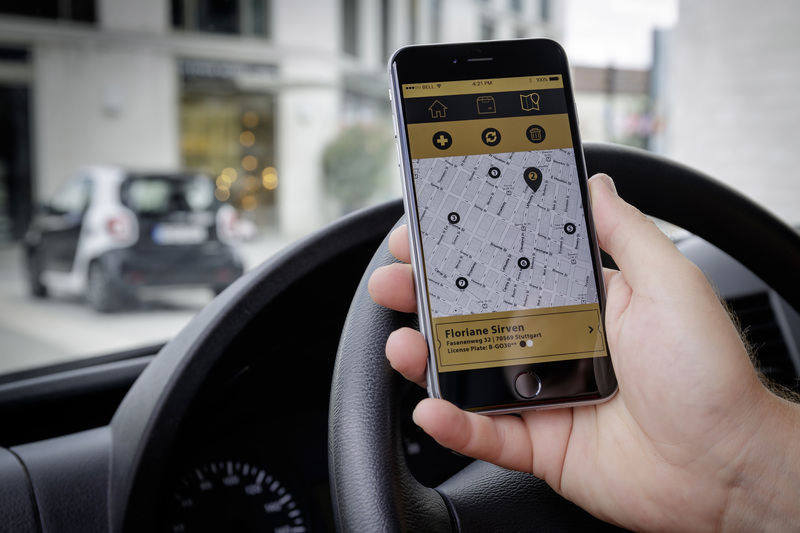 The smartphone plays a decisive role in this: the package courier uses his smartphone to unlock and lock the car, which is parked at the road-edge or in a space outside the house. After placing the online order, the customer merely needs to generate a temporary, once-only TAN (transaction number); this is done using a new app, likewise on a smartphone. In participating online shops the TAN is entered in the c/o field of the recipient’s address. The car only needs to be parked near the address for the delivery to be made. The exact location is shown to the courier by GPS. A small, black plastic box below the windscreen of smart cars indicates preparedness for “smart ready to drop”. This so-called Connectivity Box houses the communication module for keyless access. This technical solution has already shown it works. The hardware is based on technology by car2go, which is already in place. The app-software for customers and package couriers was developed by smart in collaboration with TSS. It has proved its worth there millions of times: since the introduction of the new, purely smartphone-based rental procedure, the carsharing company has registered more than 5.5 million remote openings. “At smart we have more experience with digital access systems than any other manufacturer,” smart CEO Annette Winkler says to explain the decisive advantage of her brand. 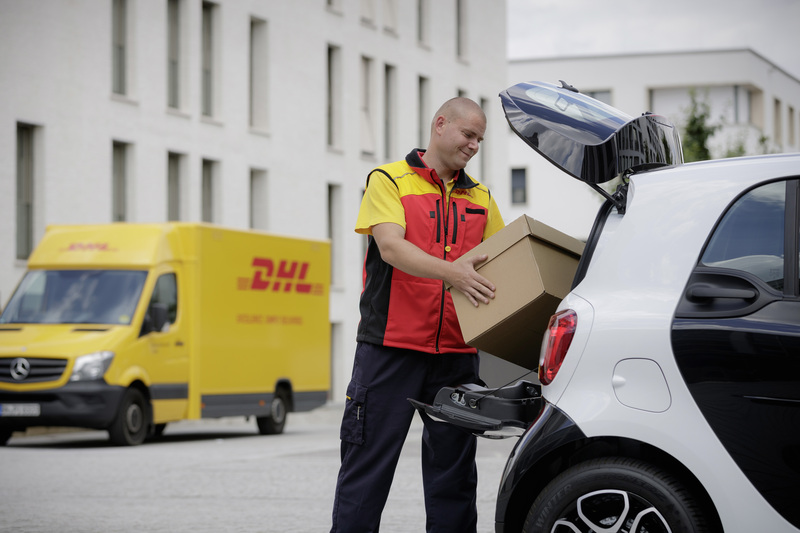 Another advantage of the car2go system is that keyless access is given in two to three seconds; the package couriers of cooperation partner DHL highly appreciate this speed. And it is not only deliveries that are carried out via the car boot: pre-franked returns can also be notified to DHL and deposited in the car for overnight collection. For Annette Winkler, further smart services are conceivable that likewise use the technical potential of the Connectivity Box: Customers could give providers of carwash services temporary access to their car, for example. The new service “smart ready to drop” has almost reached market maturity. It is to be further refined in a Beta test lasting several months under nearly realistic conditions. The project will start in Stuttgart in fall, and then in Cologne, Bonn and Berlin. Further cities will follow. smart drivers living in one of the above cities can go to www.smart.com/drop for more information, and also apply for participation from September. Vehicles will be equipped with the Connectivity Box free of charge for the beta test participants. This also applies to the series preceding the smart fortwo 451.